The best sunscreen is changing. The Hawaii sunscreen ban passed in the legislature in 2018 eliminates two sunscreen ingredients known to harm marine life: oxybenzone and octinoxate. This law goes into effect in January 2021. This gives makers of popular sunscreens, such as Banana Boat and Coppertone, time to change their products. The reasoning behind the Hawaii sunscreen ban is to protect coral reefs and marine life. Banned sunscreen has damaged Hawaii’s fragile marine ecosystem. Formerly rich marine sites suffer, such as: Haunama Bay nature preserve on O’ahu and Molikini Crater off Maui’s west side. Visitors to Hawaii can show their love by supporting Hawaii’s efforts to protect marine life. One concrete action is to change sunscreen. Furthermore, now is a good time to choose the best sunscreen under the Hawaii sunscreen ban. Local Tip: The best sunscreen is a mineral sunscreen because it works well and is safe. Mineral sunscreens are generally safer for people and marine life. Children – Best Sunscreen: Sunscreens like ThinkBaby 50+ and Neutrogena Pure and Free Baby 50 are top-sellers on Amazon.com. These achieve low hazard scores by the Environmental Working Group (EWG). Face – Best Sunscreen: Most top sellers for facial sunscreen are not reef safe or low hazard. However, face sticks by Badger and All Terrain Aqua Sport are reef and people safe. Top performing face lotions include Blue Lizard Australian Face SPF 30+ and Caribbean Sol Faces SPF 20. Most sprays are out. 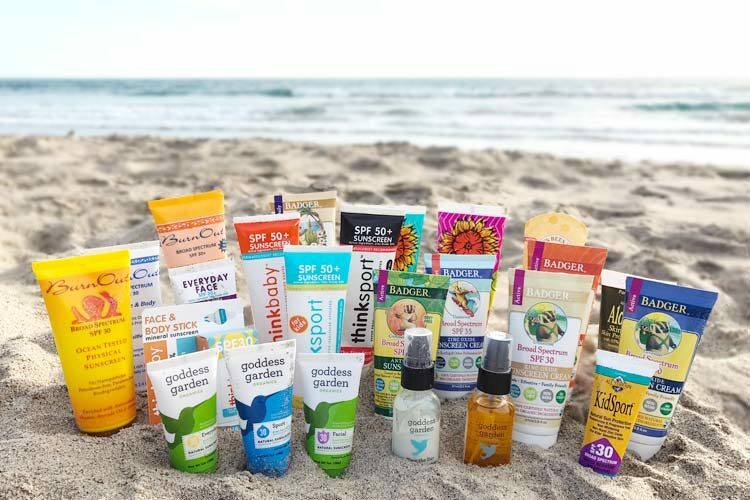 Body – Best Sunscreen: Coral Safe All Natural SPF 30 and BurnOut Ocean Tested Physical Sunscreen SPF 30 rank as low hazard with EWG and cost under $20 each. Another safe product with a more luxurious feel of a moisturizer is MyChelle Replenishing Solar Defense Body Lotion SPF 50. What is behind these choices for best sunscreen? Previously, I reported on the EWG’s recommendations for safer sunscreens. 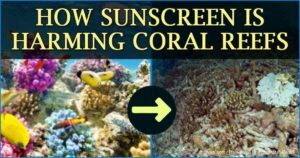 The Environmental Working Group (EGW) offers an annual review of sunscreens that are safer for both coral reefs and people. Beachgoers no longer have to guess at which products are safe. Meanwhile, many sunscreens release a toxic oil slick into the ocean. With a little advanced planning and cross-checking between Amazon and EWG, there are hundreds of safer sunscreens to choose from. For example, Amazon.com’s top-seller in the facial sunscreen category, EltaMD UV Clear, contains 7.5% octinoxate, which is not reef safe. Even if you plan to keep your face out of the water, overspray will drift and find its way to the ocean. This product is also not rated by EWG. It is a good example of why it is important to cross check before buying. No one goes on vacation to Hawaii to harm the place. Yet, it continues to happen in Hawaii. This is because humans are subject to many cognitive biases that impact our thinking and actions. For example, someone who just bought an expensive airline ticket to visit a Hawaiian beach will likely see that beach as beautiful. The mind ignores any signs of reef or environmental destruction because of confirmation bias. Clumps of algae overgrowth, dead coral heads, and few fish species will often not register with visitors as a problem. In other words, we see what we expect to see. The common sunscreen ingredients oxybenzone and octinoxate kill coral that form the basis of tropical marine ecosystems.